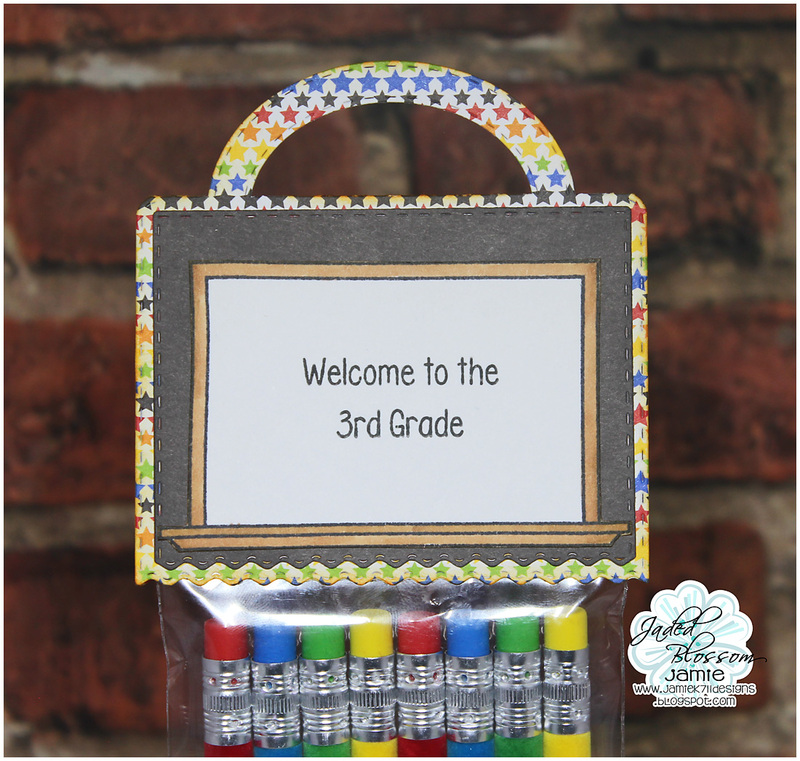 Jaded Blossom: Back to School Favor! Jamie here and I have a back to school favor to share with you! I put some fuzzy pencils into a 3x8 bag and then created a topper with the Ric Rac Topper Die. I stamped sentiments from School Rocks to the Chalkboard stamp. 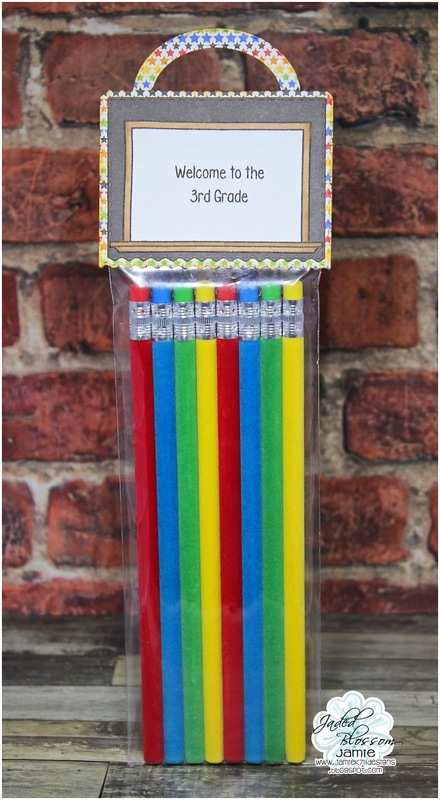 So cute and a great idea for a teacher gift. They always need pencils!